Social networking services, such as Twitter , Facebook and Google+, keep all of us connected to friends, family, and our virtual pets and farms! Professional networking services aid in introductions and provides opportunities for professionals to develop career and business relationships. Yes, professional networking can be fun too. 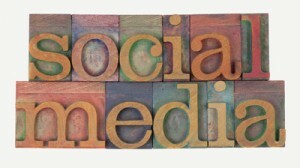 By now, most people interact on social networking websites on a daily basis, and this number is continuing to increase. They’ve each developed a profile that helps them share information about themselves and their interests with other members using the social media service. With the exchange of information and profile viewing, other users can ask to be included in the social network of users that share common interests. This process is commonly referred to as “friending” or “following” someone. If you are interested in joining a social networking community, the 24HourSupport.com Communities experts have prepared the tips below to help you get started. Before you sign up with a social networking service, take a moment to find a site that matches your personal interests. Use the list of popular social networking sites at the bottom of this page to learn about each service and find the one that suits you best. What goes in a profile? Essentially, you can write anything you like in your profile. Most services allow you to post images and links in your profile and some services give you several pages to express yourself and build an online network of friends. Many services even have space for you to write a daily journal, notes, or blog to let your friends stay up-to-date with your activities, thoughts and feelings. You may also be able to post pictures, videos and keep a list of links to your favorite websites. However, in this day of online predators, you should always keep in mind that not all services allow you to keep your profile private. In these case, virtually anyone on the web can see your profile, so listing personal information such as your home address, phone numbers, where you work, etc. isn’t safe. You may even opt to not include your full name in your profile as well. And, when you post something in your profile, make sure it wouldn’t embarrass you to have your parents, your children or your boss read it. How do I add friends to my social network? The specifics of “friending” varies between the social networking services that you choose, but most services require that each user agree to include one another in their network of friends. Generally, you should visit the profile of the user you’d like to become friends with and look for a links or buttons that say something like “friend request”. Then, you may be asked to enter some information to introduce yourself to the prospective friend, or if they already know you, just include a few details to help them recognize you online. While you’re enjoying the process of creating a profile and connecting with friends on one or more social networks, it’s important to remember that your privacy could be compromised. For safety’s sake, consider customizing the privacy settings on the social networks you use so that your sensitive information (your address, where you work, when you’ll be away from home) doesn’t fall into the wrong hands. Check the Help section of the social networks you participate in, or refer to this PC World article for more tips on protecting yourself while networking online. Twitter : Use Twitter to update your network of followers on things that interest you, or send links to articles or blog posts that you think others might enjoy. Just remember that your “tweets” can only be 140 characters long. Google+: Google+ is Google’s answer to social networking and integrates with Google services such as Mail and Chat. Start creating your circle of friends today! Pinterest: For the crafty people out there who love to display their work, Pinterest may be the social network for you. Members of this community are able to “pin” items of interest to each others inspiration boards for viewing and sharing ideas. Instagram: A picture is worth a thousand words, right? Instagram allows you to share your life, business, craft, or any worthy moment through the use of photos and videos that you can edit with numerous filters. What other social network lets you channel your inner photo-editing champion? Vine: If you have six seconds, then you can capture your fun-filled moments with Vine. Whether you’re doing the Harlem Shake or showcasing an awesome product, this social network gets things done in no time flat. Tagged: Tagged touts itself as being the “social network for meeting NEW people.” You can search for people to friend, play online games, and chat with people who share common interests. Friendster: Friendster allows adults ages 18 and up connect with friends, family, groups, activities and interests around the world.